My sweet Mama tells me in fourth grade I did my science project on birth order types that advanced all the way to regionals. I studied Kevin Leman’s classic Birth Order Book and diligently quizzed my friends to see if their personal characteristics matched up to the descriptions. I, no surprise, am a firstborn. I lean hard toward perfectionism and responsibility. I’ve been fascinated with figuring out myself and others ever since. So when the Enneagram became a hot topic again recently I had to check it out. If you’re not familiar with it, the Enneagram is a framework of nine different personality types. While many personality frameworks focus on outward behavior, the Enneagram is more about inward motivation. It’s also not simply an applauding of strengths; it’s a revealer of weaknesses. I’m a One on the Enneagram. This means, among other things, that I have a very loud inner critic and I’m almost constantly focused on the gap between what is and what could or should be. When I found this out it temporarily depressed me because it was so true. But then I realized this: I belong to Jesus, who is a transformer and redeemer, a heart-filler and a difference maker. I serve the God who said, “My grace is all you need. My power works best in weakness” (2 Cor. 12:9). What this means to me, and I think to you too, is that whenever we discover a weakness in our lives there is always a flip side. When I’m living in my flesh I’m a perfectionist. When I’m living in the Spirit I’m a potentialist—someone who can see the best in others and help them grow into all they’re created to be. What’s one thing you might label as a weakness in your life? What’s the hidden strength within it? The answer may not immediately come to mind. If so, take it to Jesus and ask Him to show you. Take it to people who really know and love you. Sit with it. Give it time. There is beautiful strength in your weakness. There is beautiful strength in mine. P.S. If you’d like to learn about the Enneagram I’d recommend starting with this quiz by Ian Cron to find out your type before reading the book The Path Between Us by Suzanne Stabile. I’ve read several books, listened to podcasts and researched extensively online but those two resources have been the most helpful to me. P.S.S. Just so you know, this post includes affiliate links, which means if you click through and make a purchase I may receive a commission (at no additional cost to you). I only share what I believe will be truly helpful. Thanks for your support in this way! I’ve read Cron and Stabile’s book and have been listening faithfully to Suzanne’s podcast, but I’m still not clear on my Enneagram number. I’m thinking I may be a 3 with a 4 wing, but there are a few things that make me doubt that. And I’m a first born. At least THAT’s easy to figure out! I am a 1 – in birth order. I type 4 the Enneagram. I am constantly looking inwardly and seeing the gap in me. I take longer to get things done, sometimes. I want the task to be done with ‘excellence’. I believe God has called us to excellence as well. I see, though, how being a perfectionist can be setting oneself up for failure and emotional discomfort. I want to share with you as well, that I have been especially glad to use the desktop annual calendars. Oftentimes, I get a ‘word’, an encouragement, and strength to go on. I am in a four year period of re-inventing myself to deal with issues of endemic corruption in Guyana, South America. I used to be the national director of Child Evangelism Fellowship. It is a blistering journey. However, I have to be honest and true to myself – at the least. I cannot continue and be true to my calling and relationship with God. Hi Holley. I am fascinated with birth order too. I did a research paper on it as a freshman in college, using the same book from Dr. Leman. I’m a firstborn and I fit his descriptions perfectly. I also learned so much from his book called The First Born Advantage. On the Enneagram test, I’m also a One, with a heavy sprinkling of the Nine. The One part of me is my Martha side, and the Nine part is my Mary side. I love personality tests, and I feel like the one that fits me best is the Myers-Briggs test, on which I am an INFJ. Wish I had known my strengths on these tests 25-30 years ago, when I would have felt more comfortable in my skin God masterfully crafted. I did the Enneagram test a while ago, so I am not sure I remember this correctly, but I think I am a 7 with a 3 wing. I am the youngest in birth order, so perfection and responsibility were never my strong suits. I have also taken the Myers-Briggs test that Sarah commented on. If you have never taken it, it’s interesting, you should give it a try. I am an ENFP. I had to take it years ago as part of a teaching in-service course I participated in. I love the concept that you write about “there is beautiful strength in your weakness”. I am going to have to think more about that. Thank you! 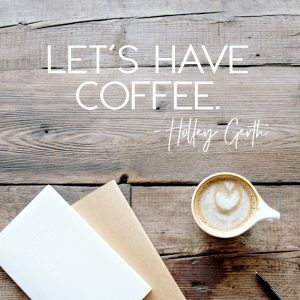 Holley, I love personality tests and learning more about the people I love as well as myself. The Enneagram can feel so discouraging, but it’s pretty insightful! I’m a 9 with a bit of a one wing. Birth order is weird for me. I was a youngest until I was 12, then became a middle, and sometimes I act a bit firstborn-ish. 🙂 So glad my weakness is His strength today! I’m always a fan of personality tests/quizzes…I’m a 6 Enneagram. I’m so thankful there is beauty in our weakness and purpose in our pain!! I’m the youngest of two but act much more like a firstborn. I brother was a bit rebellious when we were growing up so I think that made me step in. I have never taken the Enneagram Inventory so I look forward to seeing what it reveals. I’ve heard this expressed the opposite way, that for every strength there is an offsetting weakness. But either way, every trait has its strengths and benefits and its weaknesses and problems. 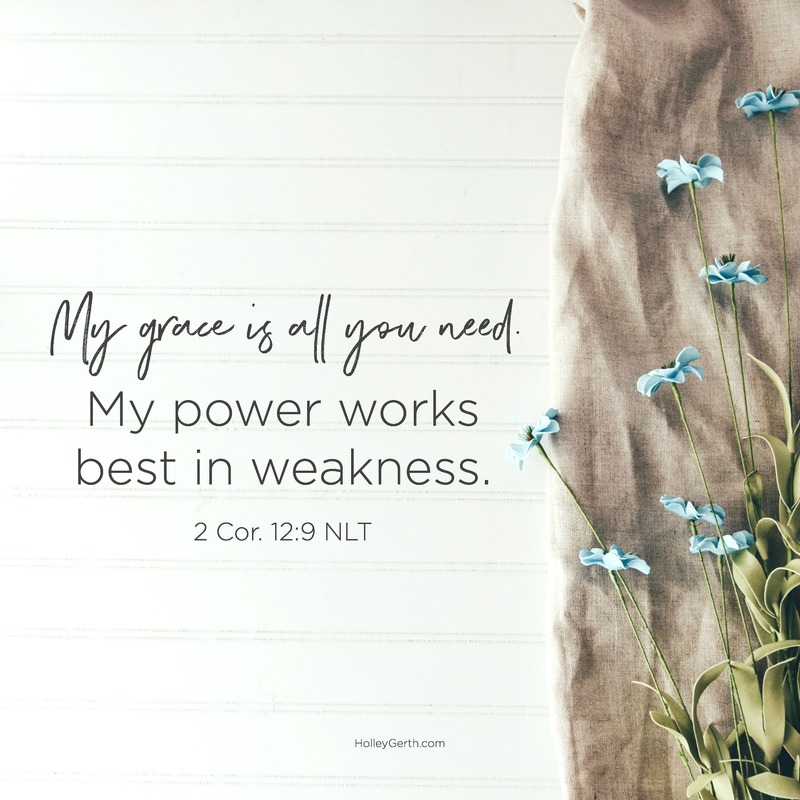 How we need God’s grace for the right balance. I’m a typical firstborn of six. I haven’t gotten into the Enneagram. I”m a firstborn too (if you remember from the retreat), classic firstborn. It’s tiring 🙂 Seriously tiring. Trying to learn to rest as that over-achieving voice in my head keeps telling me I should be doing more, isn’t easy. Learning to see the good and bad in myself and accept both. You’re such a wonderful person and that introspective side makes you such a compassionate girl. As I read through the comments, I’m praying we all sense today what our Daddy thinks about us. High five to my fellow 1! 😀 I always knew there was a reason I related to your writing on so many levels. 🙂 And it’s funny, when I found out I was a 1w2 I was a little bummed about it too. But, I’m not sure if you’ve found this, but knowing my “stress” (4) and “growth” (7) points has been REALLY helpful. It’s a good gut check. Thanks for this perspective today! Needed it! I’m the oldest child of two and a 1 on the enneagram. Firstborn here 🙂 Probably all that goes with it too! “The wonderful, hard thing about being a human is that the best and worst of us is tangled up together all the time.” That is painfully true. I thought I was a 1 for awhile, but I also really relate to the description of a 5, the Investigator. I’m settling there as a 5 with a 4 wing (because I have all the feels). It’s been helpful learning how to navigate life not only with our strengths but also our weaknesses. Thanks for sharing this, Holley. I am firstborn and have that deep perfection trait, as well as huge sense of responsibility. Read: take over sometimes! I haven’t done the Enneagram yet, but I’m interested now. I’ve read the book by Kevin Leman and it fit so well it was scary! I applied it to my 4 siblings and shared it with them. I’m always interested in our traits and birth order and other self-assessment tools. This was a super, great article! I really like the Scripture verses and graphic you selected! it is good to be reminded that “I belong to Jesus, who is a transformer and redeemer, a heart-filler and a difference maker. I serve the God who said, ‘My grace is all you need. My power works best in weakness.’ Thank you! I’m an INFJ and, here, a #4. Thanks for letting me know about this test. There is a lot to think about! I loved this post! This was great … I just took the test and I am a 6; the most loyal. I’m the baby of 4, but have been quite the perfectionist!?!? I’m not sure how I feel about personality test. I think it’s helpful as long as I focus on who I am in Christ❤️. I try to focus on the reason I do things or don’t do tho ha really is because of or lack of my vertical focus. Thanks Holley I always look forward to your emails! I also struggle with being a perfectionist too and the inner critic inside. In the book, i read i loved seeing what a healthy one looked like vs. an unhealthy one. I loved what you said in your article: “When I’m living in my flesh I’m a perfectionist. When I’m living in the Spirit I’m a potentialist—someone who can see the best in others and help them grow into all they’re created to be.” So good. Thanks for your amazing insight each week. I’m currently fascinated with the Enneagram and trying to figure out which type I am. I’ve taken a few tests and I get different results. I relate to characteristics in several of the types and can’t decide for sure which one I am. I’m an INFJ and a middle child. I enjoyed reading this post very much! Thanks, Holley! Thank you Holly, this is a timely/rhema word for me. I’m 58 years young, the youngest of 4. Served in ministry for 20 years and have walked with Jesus for over 30. I find myself halfway around the world, out of ministry and attempting to be a “layleader”. Have had a couple of weeks of God dealing with me. Pride, selfishness, thinking I know better, and pushing my ideas on wonderful Jesus loving people. Exposing my weaknesses in grandiose style. Picked up the book The Spirit Filled Woman by Beverly LaHaye. I am a strong Sanguine/melancholy. My main weakness that I see is lack of self discipline in eating. Thank you for encouraging me today. I must walk in the Spirit, and that Jesus is my redeemer and my restorer. And He clearly is not done with me yet! I’m a first-born 1 on the Enneagram, too! I am the first born of 3 and definitely have the first-born characteristics! I am an ISTJ and on the temperament test a Melencholy-Choleric. Birth Order: First Born, Enneagram test: 9. I also have to say that I love reading your posts. They have helped me SO much through so many Rough times! Thank you Holly! I love this and am a little infatuated with the enneagram too….so I am child number 5 of 5…the baby and was spoiled by older siblings..lol. I am a 6 wing7 on the enneagram. Fight or Flight…and lets have cake in between…. Thank you for sharing your heart! It’s hard to admit imperfection, but it’s crucial/healing. I am #4 of 5 girls… I am a #9 peacemaker. I am an enneagram type 2 and I am the youngest in my family. I found this post to be very encouraging to where I’m at in life since I recently graduated from college and am struggling with what to do next. Just took the Enneagram test. Turns out I’m a type 2 – Helper. No surprise there – spent my life helping people. Also the baby of 4. I guess I was a little spoiled as I had hearing troubles growing up. I the kind of person who constantly wants to help others. From 2007-2017 I assisted my aging parents in their health issues. My biggest weakness is low self esteem & emotional. I tend to show my emotions easily & things upset me often. I can see God has gifted me with a soft heart towards older people. I tend to gravitate that way & want to help out. This is so rich with truth! I find when I label myself based on my weaknesses, I only leave myself feeling sad, depressed, and inadequate. But if I can give up criticizing myself, then I can be productive and focus on defining and solving my actual problem! I love the idea of outlining both your strengths and weaknesses and see how they can both be used! I’m the firstborn of 4. I took the Enneagram test and I got a 2 – The Helper. This is so true for me.